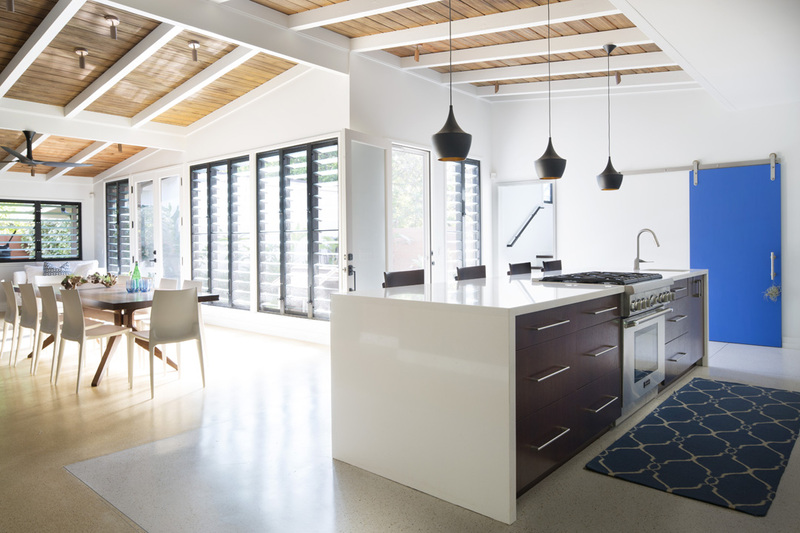 This 1960’s one-story residential home has been renovated to open up to natural light, fresh air and a sense of space. Structural changes were made to the floor plan including the removal of one of three bedrooms and one bathroom to enlarge the area for a more cohesive kitchen and dining area. 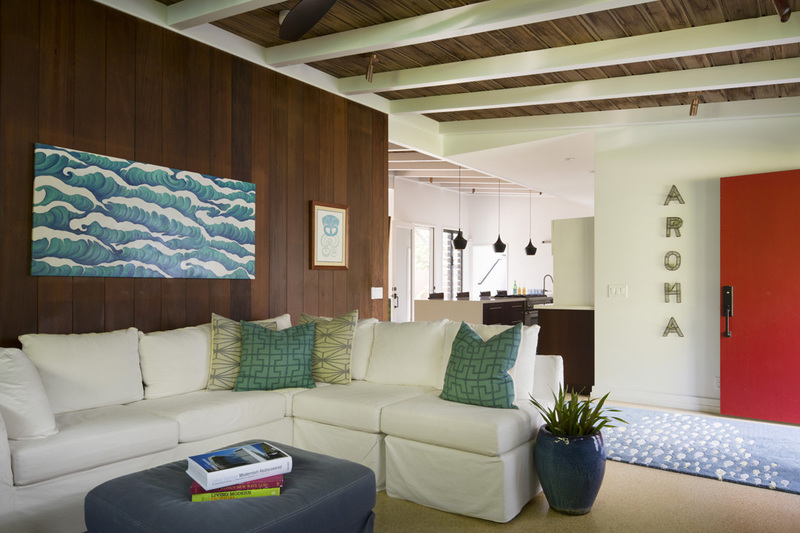 The father-son builder partnership worked together to retain the old-growth redwood walls and re-used them around the home to maintain a connection to the original design. Breezway Louvre Windows are installed on almost every wall in the home to ensure trade winds bring natural ventilation in and filter it throughout the house. The iOS Window System allows for internal screening to keep occupants protected from bugs and insects while still enjoying the benefits of fresh air. 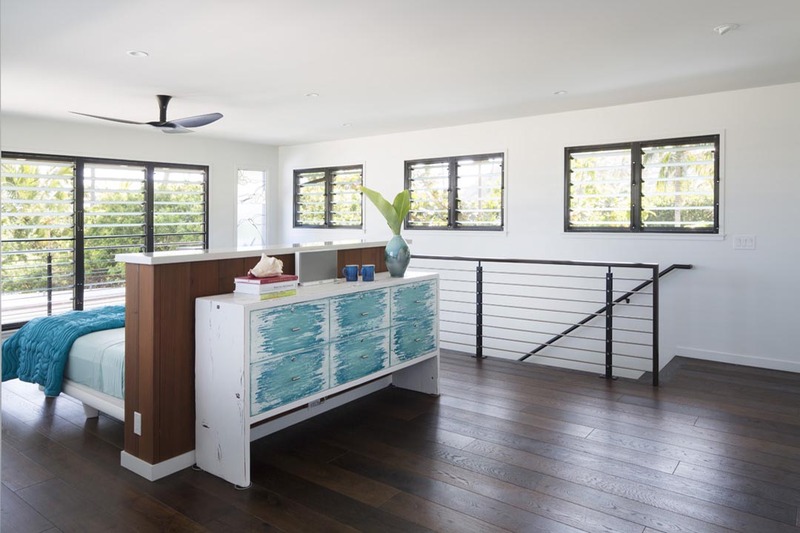 The master bedroom is built without walls to help maximise the space and allows the homeowners to enjoy their natural surroundings with clear views out towards the ocean through their Breezway Louvres.